We are often asked, what’s the difference between a motion detector and a non motion detector and which one is the best for me. In order to explain things, we’ll separate this into two sections. Both motion and non motion Metal Detectors do the same thing, they look for metal electronically , however, it’s how they do it that’s different; much the same way that a diesel car is mechanically different to a petrol driven car, but they still do the same thing . 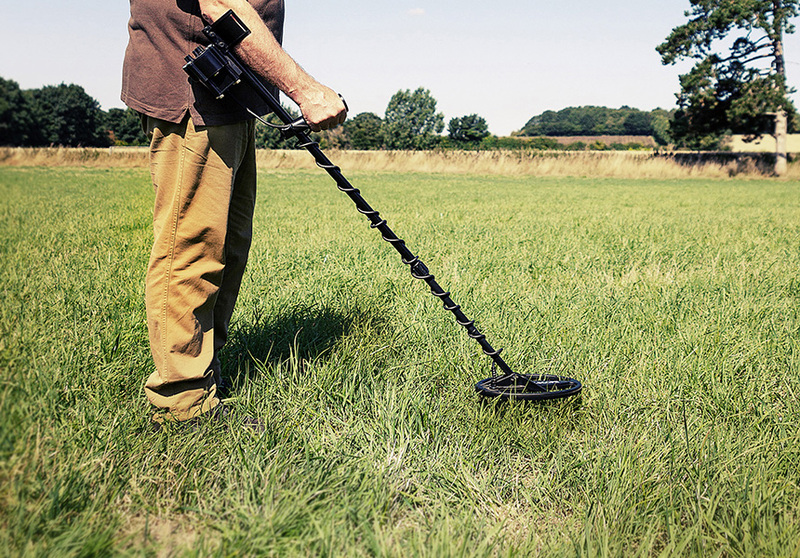 When Treasure Hunting Metal Detectors were launched in the 1970’s they were Non-Motion detectors although they weren’t called that then. A non motion detector is manually tuned each time you switch it on, a very similar process to tuning a radio to your favourite station. From time to time, you will need to retune the detector as the signal may have drifted off tune due to changes such as the ground condition altering. It is however, easy to re-tune, by pressing a push button. The other characteristic of this kind of detector is that it runs with a faint audible background tone present as you search the ground, giving an increase in volume as you pass the search head over a “find”. It will continue to give this increased volume tone when you hold the search head over the location of the “find”. In other words it will still give a signal when there is NO Motion. Motion detectors first appeared in the late 1980’s and were seen as a virtually automatic detector, these detectors are automatically tuned whenever they are operating and run silently as you scan the ground, when you pass the search head over a find, the detector will emit a short "beep" as the search head is swept over the “find”. When the search head stops being moved over the “find”, the detector will no longer “beep” even if the “find” is right underneath the search head. So the detector must be in MOTION to locate a “find”. Motion detectors are simpler to use and many are fitted with a "pinpoint" switch to allow temporary conversion to Non-Motion Mode to help locate the “find”. There’s not an answer for which is better, Motion or non motion it really is a personal choice. We can sum it up by saying that if you want great performance and ease of use, you should consider a Motion detector. Any C.Scope Metal Detector with an ‘M’ in its name, such as CS6MX-I, is a motion detector. If you want to get more involved in the setting up and the ‘driving’ of the detector, and you like the idea of hearing the detector buzzing quietly all the time it is detecting, have a look at a no motion detector. Our CS1220XD is our most popular non detector and has been responsible for many important finds including the Ringlemere cup which is on display in the British Museum in London.